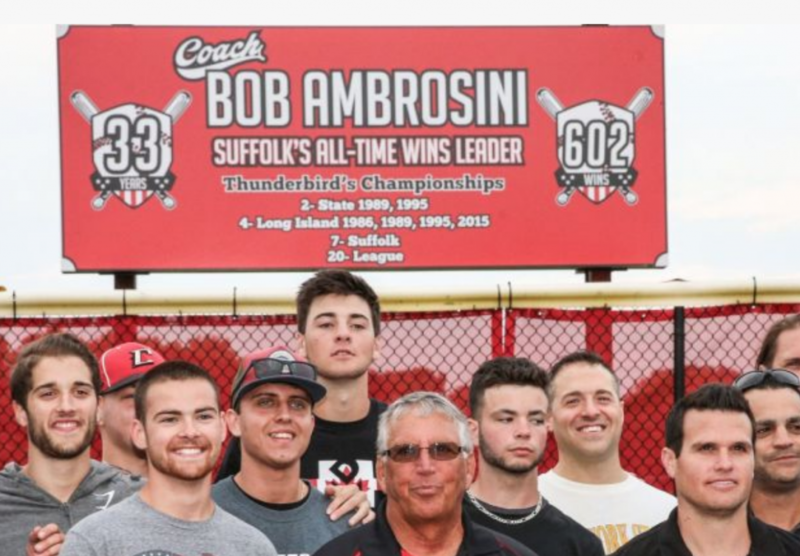 Like any great legendary baseball coach, Bob Ambrosini now has the honor of having a sign in the outfield at his old stomping grounds. Connetquot honored the Suffolk Sports Hall of Famer in June 2018. He retired having won two state, four Long Island, seven Suffolk and 20 league titles. Read the full story via Newsday.